"Working to create an open and affirming aging services environment for Lesbian, Gay, Bisexual and Transgender elders in Connecticut"
"Our events connect LGBT adults to each other and to services and supports for healthy aging." Come out and Connect! ~ Feel free to link this webpage! Painting Kindness Rocks – A simple word or phrase can change someone’s day or outlook on the world, including ourselves. We’ll paint the Kindness Rocks for you to take with you and spread some kindness along the path you travel in this world or just place it in a space to remind yourself. Cooking Demonstration and Tasting – We’ll learn from our in-house pro on the use of the Multi-Use Programmable Pressure Cooker as she demonstrates a main meal selection and a dessert. Showing how quickly a meal or dessert can be made and have it taste like you’ve been cooking all day. Please contact us if you have dietary questions/concerns. Hear from Service Providers who are participating in the Getting It Right (GIR) Program. The panel will be moderated by Molly Rees Gavin, President of Connecticut Community Care. We will begin the panel with an overview of the GIR program. Through GIR, participating organizations can become certified as LGBT inclusive. 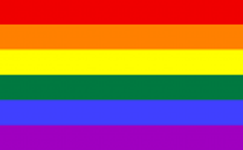 JFS Care at Home, LLC and Brookdale- South Windsor have been certified as LGBT inclusive. “Pound” Activity with Jessalyn. “Pound” is a new fitness craze using drum sticks and music. Fun! All fitness levels can partake! Follow the LGBT Moveable Senior Center on facebook! Click Here! For a list of the participating Senior Centers, click here! “Full” program: Provide ~five hours of programs to up to 30 participants. Programs incorporate mind/body/spirit wellbeing and provide options for active and passive participation. Virtually every community in Connecticut has a senior center – long recognized as a community focal point for access to information and referral, programs and services that supports people as they age to maintain independence, well-being and a satisfying life. We connect people to each other, to the community and to supports and services. People who identify as LGBT may not access our Centers because they are not familiar with them, because of concerns about being stigmatized or not welcome or because we simply are not offering programs of interest. We are looking to reach out to the LGBT community and their Allies to encourage participation in the many benefits the Connecticut Senior Centers have to offer. New York City recognized the participation gap and established their first LGBT Senior Center in 2012. We are not NYC, but we want to create the same type of opportunity in Connecticut with the "LGBT Moveable Senior Center." The LGBT Moveable Senior Center is a pilot partnership among five Senior Centers in the Greater Hartford area - Avon, Bloomfield, Canton, Newington, and Simsbury. Next year we anticipate additional centers joining in. Plainville and West Hartford are interested as well. Each month, a Center will host the “LGBT Moveable Senior Center” day of programming. Over the course of some 5 hours we will have a meal, entertainment, choices of programs or activities, and provide information and services. The programs will be different at each Center but will follow a similar format organized around the Senior Center theme of “mind, body and spirit.” We have assembled an Advisory Committee of LGBT community members and Allies to provide input and help with outreach. Some of the programming choices will be offered by members of the LGBT community. Come to one of our LGBT Moveable Senior Center gatherings – all LGBT community members and their Allies are welcome to participate Provide us with contacts you think should be on our mailing list -send contact names/emails to Kathy Marschall at “kmarschall" @ "simsbury-ct.gov” Give feedback about your experience at a gathering Provide us your ideas for programming topics and presenters In short…. Join us in making this program a growing and valuable component of our Connecticut Senior Centers. A grant to Connecticut Community Care, Inc. (CCCI), from the The John H. and Ethel G. Noble Charitable Trust administered by Deutsche Bank Trust Company, N.A. helps to support these efforts. The LGBT Moveable Senior Center is one of the funded initiatives included in the CCCI project “Getting it Right: Creating an LGBT Responsive Organization”. The goal of this project, undertaken in collaboration with LGBT Aging Advocacy, a grassroots group of providers and LGBT community members in the Greater Hartford area, is to advocate for and provide resources to help create LGBT inclusive aging services.